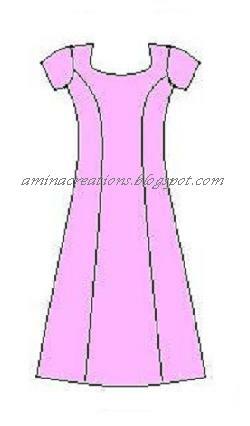 The basic Anarkali suit can be stitched at home by following the instructions given below. I would suggest that you refer How to stitch normal kameez before proceeding. For stitching an anarkali top, you need two materials, one main and one for the lining. The lining cloth should always be of the same colour as the main cloth. To begin with, first measure and note down the body measurements. Then prepare a draft on a paper using the construction given above and cut on the marked lines. Keep the draft ready. Now take the cloth, fold it in the reverse such that the two selvedges of the cloth are on top of each other. Then fold again such that the two ends are on top of each other. Now you will have 4 layers. Make sure that you are seeing the reverse part. Place the draft on top of the cloth and mark the outline on the cloth using a chalk. 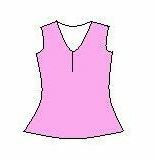 Then leaving 1” extra cloth along the sides and ½” extra cloth along the neck, shoulder and armhole, cut the cloth. The front and back necks and arm holes have to be cut separately because their curves are different. Hence take care while cutting it. The shoulder line of all the four layers must be equal. Repeat the same procedure to cut the lining cloth. Once the main cloth and lining cloth is cut for the front and back portions of the anarkali, stitch them together along all the sides and curves with long stitches. This is done to hold main and lining pieces in place. Now you will have 2 pieces, 1 for the front and another for the back. Then complete the neck and sleeves. For these refer FINISHING THE NECK and CUTTING NORMAL SLEEVES, CUTTING PUFF SLEEVES and CUTTING LONG SLEEVES for the construction. Once the neck part is completed and the sleeves are cut, stitch it to the armholes. Now for the lower part, take a cloth, fold such that the two selvedges are on top of each other. Use the following measurements to cut two pieces for the front and back. In the same way cut the lining cloth. After cutting the two cloths, take the main and lining cloth and pleat it together and stitch with the front side of the upper part. Similarly pleat and stitch the other two cloths with the back part of the upper part. Use the following measurements and cut 2 pieces of the remaining main cloth and lining cloth to get a band. Take 1 main band and 1 lining band and stitch it in the reverse on both sides leaving ends open and turn to the correct side. Do the same thing with the other 2 pieces. Stitch at the joints of the front and back portions. Now stitch both the sides starting from the sleeve ends to the upper part of the top. For the lower part, stitch the lining and the main part separately at the sides. The bottom end of the lining should be double folded 2” to 3” whereas the bottom end of the main dress can be double folded 1/2" or a pico can be stitched. nice post and well explained ! You must be an expert in both cooking and tailoring, very talented. I seriously admire ladies who can do tailoring..The patience you need for it is so admirable ! I get so annoyed sewing on as much even a button!! Fantastic! Thank you soo much! HI, Amina ji, iam making this dress, my query is how to pleat the cloth, for making pleats i searched on net from that i came to know about BOX PLEAT, INVERTED PLEATS etc, so mam which type of pleat should be make , and lining of lower part of cloth is same as actual cloth???????? If using a thick material i think a lining is not necessary..
Amina, this is a superb tutorial. You have done an excellent job!!! I have a request for you. Can you show us how to sew anarkali suit without a waist band? Meaning, one where the panels start all the way from the neckline.something like in these photos PHOTO-1 and PHOTO-2 Thanks in advance. walaikum as salaam heena. For stitching a full frock masakali, you can use netted materials which are soft and free flowing. I have read your blog and got great information about how to made stylist anarkali salwar suits with more designs and cutting process. Thanks! Really a very nice blog about Anarkali latest sarees.and it is providing the good information. I have read your blog and got valuble information about how to made stylist Anarkali Salwar Kameez with more designs and cutting process. Thanks! Very nice and very useful post to those who are beginner and want to stitch the Ladies Semi-Stitched suits. Everything is explained step by step. Thank you so much. 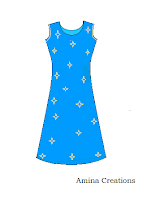 I am making a anarkali of shimmer fabric , but i dont know what fabric to use for lining. Can you please suggest. Very informative blog about Anarkali Suits. Very Well Explain and I Really like this Post.Thanks for Posting. Anarakali kurtis require a very good stitch for that luxurious look.